Kevin's greatest joy was being a dad. His son Mason could almost always be found on his dad's shoulders, smiling from ear to ear. When Kevin was a boy and then a teenager, it was an iguana that occupied his shoulders, first Smeagle and then Blurn. Kevin’s room as a boy was home to blue gil and alligator lizards, newts, hamsters and rats…and of course our dog Baggins slept on his bed each night. Lord of the Rings and The Hobbit, were Kevin’s favorite books. He found much meaning for life in their pages and almost all of his animals were named for the characters. Kevin loved playing video games and felt at home in the worlds that the games invited him into. He had an ability to focus his mind deeply. He was good at chess and at writing stories and loved to talk about profound subjects, such as multiple universes and life on other planets. He was quietly and deeply spiritual. 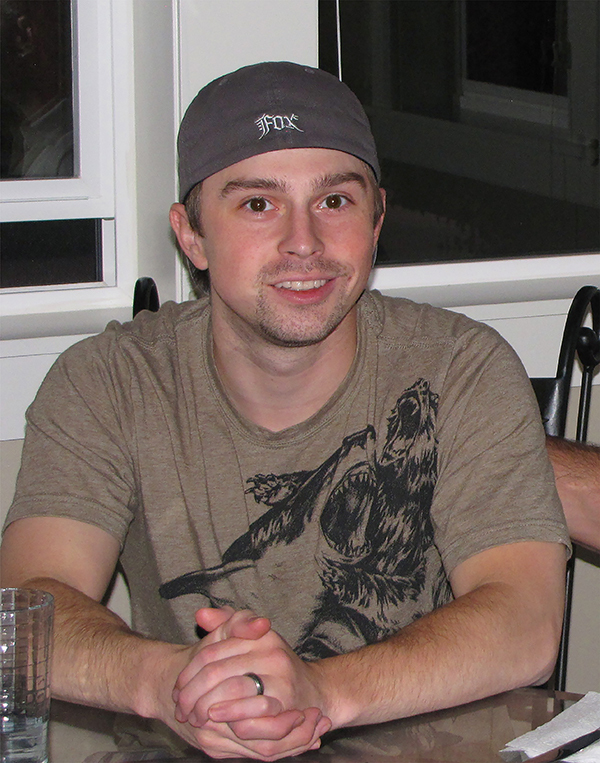 Kevin began a battle with addiction at the age of 14 and lost the war on March 23, 2012. He left his son, his wife, his brother, his sister, his mom and dad, his grandparents and aunts and uncles and many friends. Kevin loved to be there for those who needed someone to listen. He was always sensitive to the person in the room who was feeling lonely and would make sure he talked with them and helped them feel comfortable. He was ahead of his family in his knowing and seeing of realities and dimensions beyond what most perceive. Immediately following his passing, his spirit opened our minds to what he tried to open our minds to while he was here…There is so much more to reality than we think. If Kevin’s spirit could share a wisdom from his short life, I believe it would be to give everyone a chance, to see the good in each person and each critter, and know that sometimes in the humblest of lives and the smallest of packages are the biggest of spirits and Gold, pure gold. Ten percent of the proceeds of my work are donated to a cause in memory of Kevin. This year the proceeds will be donated to research for the rare and painful auto-inflammatory disease, CRMO (Chronic Recurrent Multifocal Osteomyelitis). CRMO causes lesions in the bones, severe pain and bone damage. Kevin’s son, Mason, lives with CRMO. Your privacy is important. You may unsubscribe at any time.